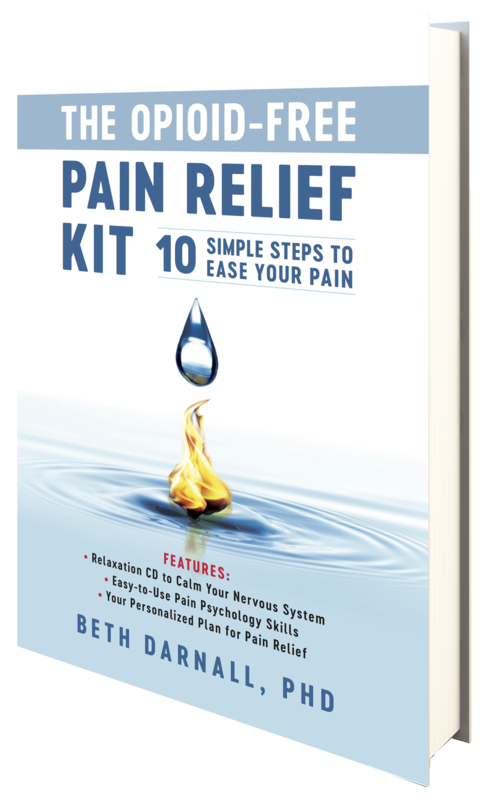 “The Opioid-Free Pain Relief Kit” – FREE Copy, Enter to Win! My inspiration for writing this second book was the patients I treat — and the millions of other people living with pain who are seeking relief. I was also inspired by the legions of healthcare providers who are desperately looking for accessible, low-cost, non-opioid solutions to offer their patients. The Opioid-Free Pain Relief Kit is an easy-to-read resource that’s chock full of information that patients can put to use immediately. Written at the 8th grade level, it is for the everyday individual who is missing crucial information about their pain: How they can best help themselves. More than ever, there is pressure to reduce use of opioids to treat chronic pain and this leaves many patients wondering, “How will my doctors and healthcare team help me?” Perfect for handing out or recommending at point-of-care, this book serves as a foundation to emphasize that treating pain is not a passive process. Patients don’t want more pain, they simply lack the information they need to do it differently and reclaim their control from pain. How patients can reduce their need for pain medication through self-management (improved self-care, activity, sleep, pleasurable activities, exercises that reduce pain processing). How to train the brain away from pain. Self-empowerment by developing a “Complete Pain Relief Kit” based on evidenced-based skills and principles they learn in the book. The slippery slope of opioids; how to minimize opioid use and how to keep yourself safe. Generous use of graphics and illustrations deliver key messages visually and make reading the book fun. This book is perfect for all patients with pain—whether on or off opioids. It puts the patient in the driver’s seat—so they need fewer doctors and fewer pills! If purchased in bulk the book less than $6 per unit. Very low cost was our goal and I think we hit the mark! Enter to win your free copy from Goodreads! Hurry, contest closes soon (August 3, 2016)!